High cholesterol is a fairly common problem that is reversible with proper care and due diligence, helping you avoid the serious complications associated with the condition. 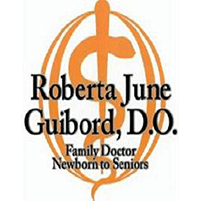 At her family practice in Perrysburg, Ohio, Dr. Roberta June Guibord helps her patients successfully lower cholesterol numbers, and just as important, avoid high cholesterol in the first place. To control your numbers, call or book an appointment online. Before getting into the numbers, it’s important to understand what cholesterol is and its role in your health. Cholesterol is a substance that’s found in the fats in your blood. Your body relies on cholesterol to help build new cells. But if you’re collecting more cholesterol than your body can use, this causes a buildup of fatty deposits in your blood vessels (i.e., high cholesterol). High cholesterol, if left untreated, can lead to significant complications, such as heart attack or stroke. Your cholesterol number is a combination of these two and should remain below 200 mg/dL (milligrams per deciliter). Anything between 200 and 239 is borderline high, while a total count of 240 or more puts you in dangerous territory. These factors contribute to an overly high number of LDL, far outpacing what your HDL can handle. For patients who have regular LDL numbers, but deficient HDL numbers (40 or under), this condition is typically attributed to heredity. While your overall numbers may be fine, if your ratios are off because of low HDL numbers, you may suffer the same problems as those with high cholesterol. There are no symptoms of high cholesterol, which can only be determined with a blood test. The good news is that high cholesterol can be tackled in several ways, allowing you the opportunity to reverse the numbers, and your risk for more severe problems. To get started on lowering your cholesterol numbers, call or book an appointment online.